The American Nurse Credentialing Center’s (ANCC) Magnet Recognition Program® is the most prestigious distinction a health care organization can receive for nursing excellence and quality patient outcomes. Organizations that achieve Magnet recognition are part of an esteemed group that demonstrates superior nursing practice and outcomes. Visit here for more information. The Magnet Recognition Program® provides a roadmap to nursing excellence, which benefits the whole organization. To nurses, Magnet recognition means education and development through every career stage, which leads to greater autonomy at the bedside. To patients, it means the very best care, delivered by nurses who are supported to be the very best that they can be. While the benefits of Magnet speak for themselves, the journey to and redesignation of Magnet requires real dedication. By continually evaluating strengths, weaknesses, and performance in relation to the Magnet model, our organization is empowered to make the right changes. The result is an environment which inspires nurses to work together, to advance health care for all. 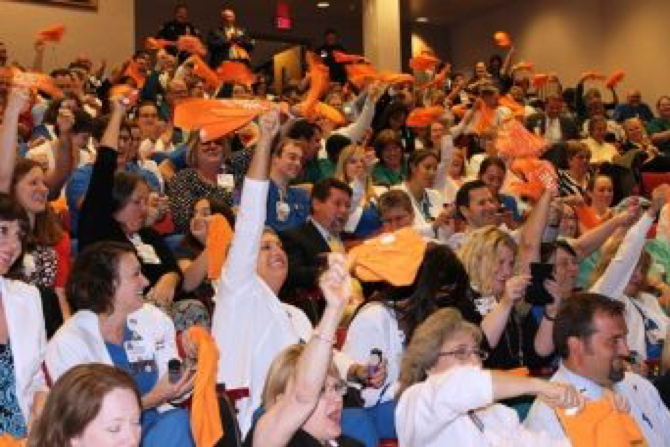 The University of Tennessee Medical Center is one of four hospitals/systems in Tennessee with Magnet designation. There are almost 6,000 hospitals in the U.S., but only around 8% of them have earned this special recognition.